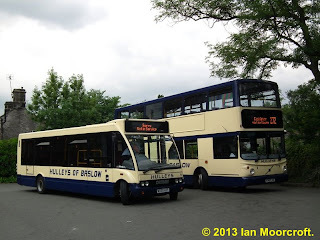 FOCUS TRANSPORT: Hulley's of Baslow, Bradwell shuttles. 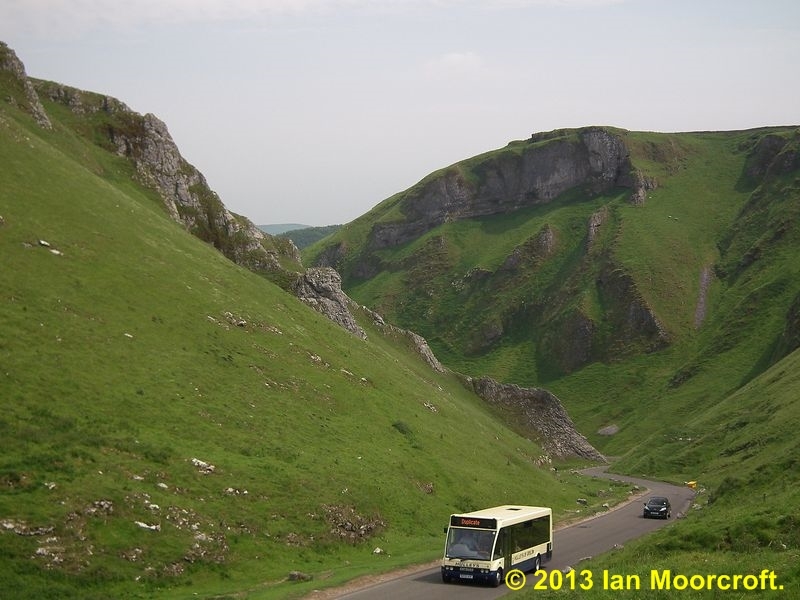 Hulleys have been operating a shuttle service to cover a road closure at Bradwell affecting services 68, 173 and 272 which involves a long diversion (scheduled for 27 minutes instead of the usual 10) and includes the scenic Winnatts Pass near Castleton. 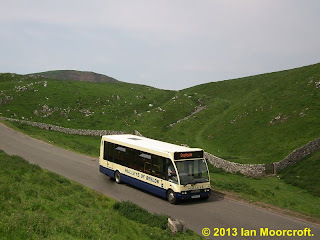 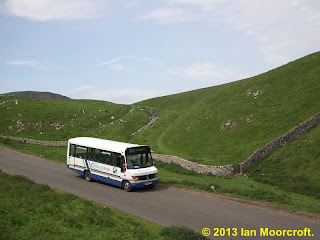 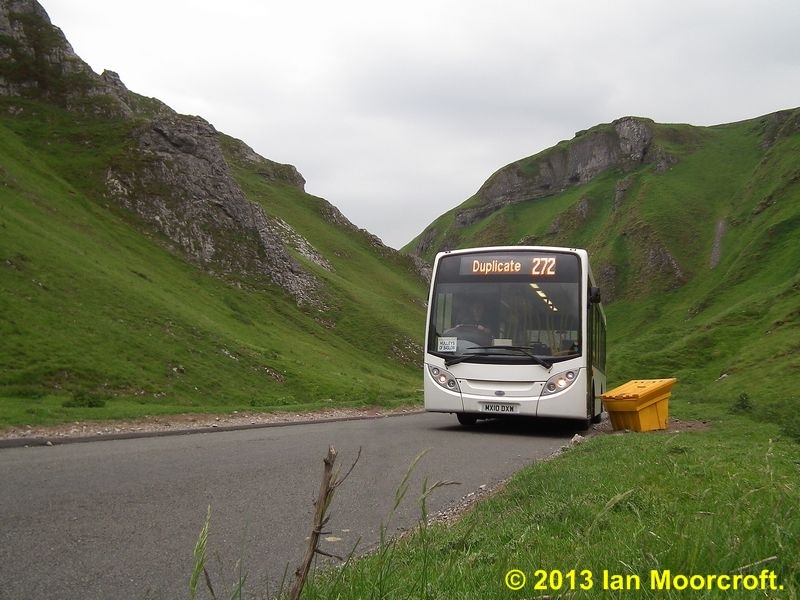 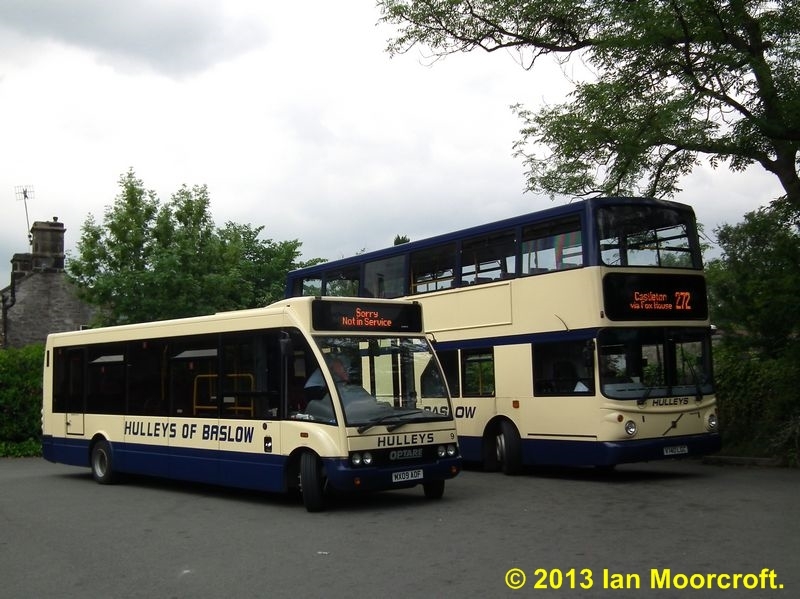 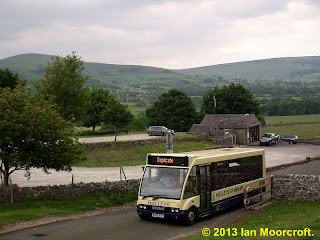 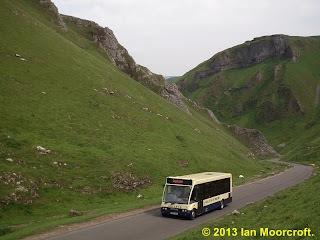 Here's a selection of photos of the buses used, mostly a solo but the hired Enviro did do the first round trip (0630 from Bradwell and 0700 return from Castleton), as seen here Wednesday (19/06/2013) when it was still a bit murky. 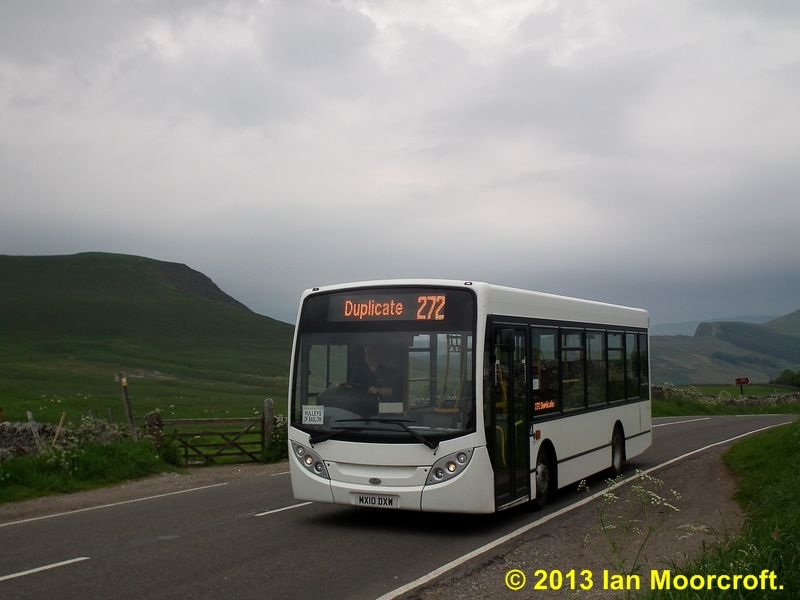 Wednesday (19/06/2013) afternoon saw Solo 9 on the route and I also spotted the only service to now use this road, Smiths of Marple DCC subsidised 200 (Chapel en le Frith - Castleton).